After successfully owning and operating US to OZ for close to 8 years, my family and I have decided to move home to Australia so that our children can grow up surrounded by family and beautiful sunny beaches. As such, US to OZ has transitioned to a new owner. It has re-located to Portland Oregon which has zero US sales tax so the new location is a great benefit for our customers. Please remove Himalaya Ave from your records because items sent to this address will be lost (we won't be here to receive them). Justin Camp is the new owner and has extensive industry experience. We talked to several potential buyers and felt that Justin was the best fit and that he will take great care of you all. 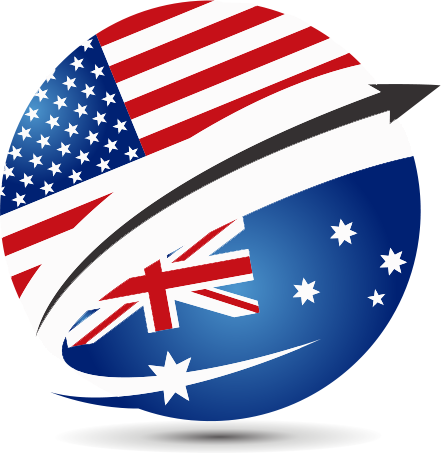 The website will stay the same and you can reach US to OZ at info@ustooz.com or via Facebook at www.facebook.com/ustooz. Justin will continue to offer you free parcel storage and consolidation. He will be accepting PayPal payments which will be very convenient. I'd like to take this opportunity to thank each and every one of you for your support over the years. It's been an absolute pleasure. I sincerely hope that you will continue to be a satisfied US to OZ customer for years to come. Why use US to OZ? Many businesses in the US won’t ship overseas or accept an overseas credit card – instead of missing out on the great prices offered to US consumers take action and let US to OZ finalise the purchase for you. You see, we act as your US postal address. You get the goods shipped to us and for a small fee we forward them on to you, saving you plenty of money in the process. If they don’t accept your credit card we can make the purchase on your behalf. Simple. See details of our services. Justin Camp is the new owner and has extensive industry experience. We talked to several potential buyers and felt that Justin was the best fit and that he will take great care of you all. The website will stay the same and you can reach US to OZ at info@ustooz.com or justin@ustooz.com or via Facebook at www.facebook.com/ustooz. Justin will continue to offer you free parcel storage and consolidation. He will be accepting PayPal payments which will be very convenient. We love receiving feedback from our happy customers. Read about them here. We have partnered with a sea freight company who offer very competitive rates for shipping large items. To see just how affordable it is to ship large items, please use this calculator to get the shipping price and contact us for any questions you have. For small items, please contact us for a shipping estimate. Automatic coverage is included up to $200.00 USD. We thought it would be fun to map some of the places we have shipped to. See if we have shipped to your suburb.